How Far is UTC Lotus Orange County? 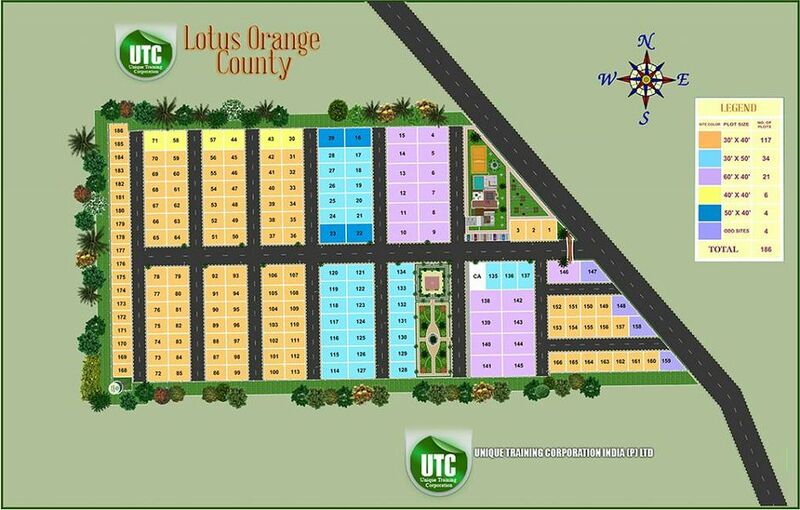 UTC - Lotus Orange County is a World within a world where chirping of birds, clean air & vast greenery greet you. UTC - Lotus Orange County defines a serenity, the place transports you into a realm that resembles paradise itself. UTC Lotus Orange County is the closest thing to nature with impeccable landscapes & plantations that is bounded to refresh you day after day. Plots at Varthur Village near Thavarekere Junction. UTC Group established in the 2003 by a young & energetic entrepreneur, Mr. B.P.Gangahanumaiah having a decade of experience in the field of infrastructure development, land procurement, legalities & real estates. UTC Group today one of the leading developers in Bangalore having already completed 4 major residential gated communities, has created a niche for itself in the competitive realty market of the garden city. The main objective of UTC Group has always been Quality, Transparency & perfection. Customer satisfaction & timely delivery has always been of at most importance. The company is proud of its strong customer support & their referrals & recommendations have played a major part in speeding up the wheels of growth. What has given wings to our hard work is our core understanding of the segment, our ability to read the ever changing economic scenario, our culture, our people, our ethics, our belief and last but not the least our understanding of the needs of our customers. Since we know our trade inside out, it’s never been a problem for us to provide our clientele the apt investment solution. It’s our belief in the system, belief in our strong marketing team, enthusiastic back office, our loyal team of vendors, satisfaction of our ever growing family of customers, has inspired us in bringing our upcoming projects & inspired us to step into the field of infrastructure, Commercial, Hospitality, Club & Resort development. We’re opening up to new possibilities and new dreams for ourselves, our investors and customers.